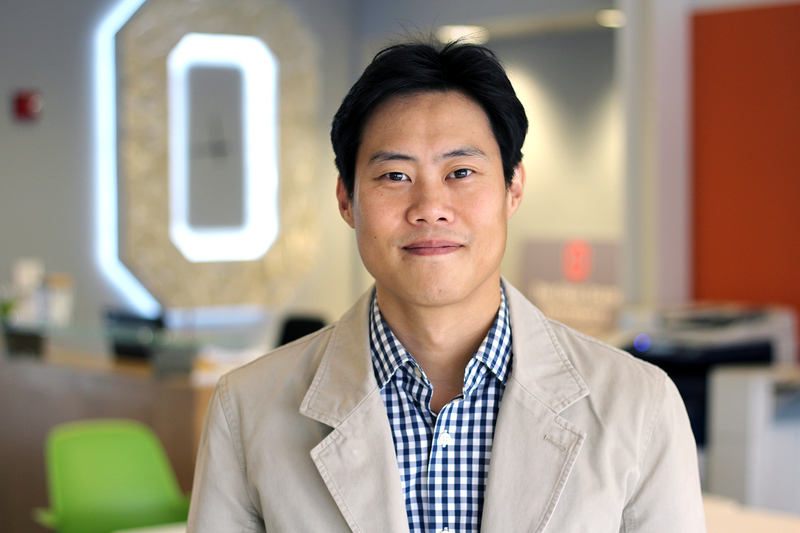 Jung-Hyun Kim, assistant professor in the Department of Mechanical and Aerospace Engineering, received with partners Nexceris and Navitas a nearly $2.5 million grant from the Department of Energy to develop cathode materials for the next generation of electric vehicle batteries. The project, “Cobalt-free LNMTO spinel cathode materials,” is one of 42 research projects sponsored through the Department of Energy program aiming to shore up U.S. energy security by supporting the development and commercialization of affordable, energy-efficient transportation technologies. Increased energy efficiency plays no small part in the stability and growth of an economy driven by transportation. The average U.S. household spent about one-sixth of its total expenditures on transportation in 2017, according to a U.S. Bureau of Labor Statistics survey. That year, 11 billion tons of freight were transported by vehicles, with about $35 billion in products shipping each day, according to the Bureau of Transportation Statistics. Demand for battery materials is also expected to increase as interest in electrical vehicles grows within the transportation industry. Kim, who was recruited to The Ohio State University through the Institute for Materials Research-led Materials & Manufacturing for Sustainability Discovery Theme, will focus on developing materials to supplant prohibitively high-cost materials, such as Cobalt, used in electric-vehicle batteries. Cobalt is vital to the performance of lithium-ion (Li-ion) batteries, but recent increases in demand and price have resulted in shortages and concern about its outlook. New research at The Ohio State University could help lead to a new generation of radio frequency devices capable of advancing space communications, smart phones and even self-driving cars. The point is about rethinking the entire design and make-up of the materials used to make such devices, from the ground up. Ghalichechian, who leads Ohio State’s Radio Frequency Microsystems Lab, is marrying the concepts behind materials engineering and electromagnetics. He is working alongside first-year Ohio State Ph.D. student Mark Lust and third-year Ph.D. student Shangyi Chen. Together, they are performing fundamental studies on phase-change materials and their applications in the millimeter-wave domain. Specifically, to create passive imaging sensors. The Institute for Materials Research (IMR) encourages faculty members interested in submitting an NSF Designing Materials to Revolutionize and Engineer our Future (DMREF) proposal to reach out to the institute’s grants developer with inquiries. 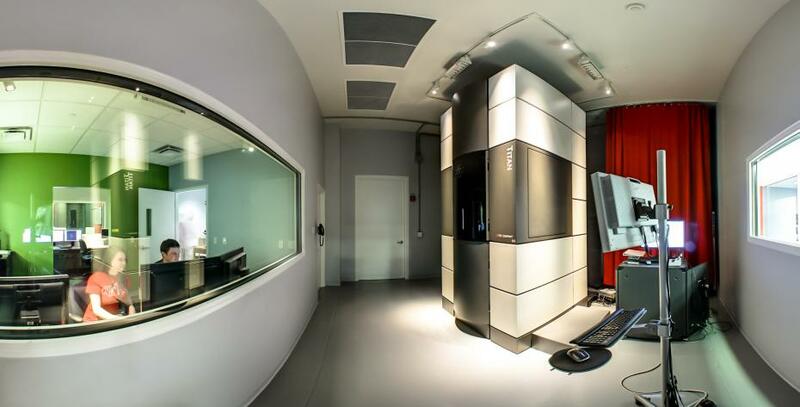 IMR will host an open house Dec. 6 at Nanotech West Laboratory, on West Campus, to offer more information about the proposal development process to researchers at The Ohio State University wishing to join or complete a DMREF team. Joanna Gardner, IMR administrator and grants developer, will be on hand to discuss and answer questions about the DMREF program and grant opportunity. Nadeane Howard, with the Proposal Development Office, will discuss available resources through her office. Researchers are encouraged to present their expertise and areas of study during a series of informal, mini presentations (two minutes each), following Gardner and Howard. The majority of the open house will be dedicated to allowing visitors an opportunity to network. Thursday, December 6, 3:30 to 5 p.m. This NSF solicitation is not restricted to specific topics of materials research, though the NSF identifies four of particular interest: 1) Synthetic materials biology, 2) Structural materials under extreme conditions, 3) Recyclable plastics and alternative materials for sustainable development, and 4) Robotic materials. IMR works with its faculty members and their teams to find methods to advance their research proposals. Joanna Gardner, IMR administrator and grants developer, assists in finding the right external funding opportunities and provides full-service support through the grant proposal and award process. DMREF awards are forecast to range from $1,000,000 to $1,750,000 for a duration of four years. NSF anticipates $36 million in funding for an estimated 20 to 25 awards. The submission window for proposals is Jan. 28 to Feb. 04, 2019. The NSF program solicitation and additional award information are available here. The Ohio State University awarded Steven Ringel, a faculty member in Electrical and Computer Engineering (ECE), the permanent title of Distinguished University Professor in appreciation of his teaching, research and service at the university. Ohio State Board of Trustees conferred the appointment during its Aug. 31 meeting, bestowing Ringel the university’s highest honor given to faculty members. Ringel serves as professor and Neal A. Smith Chair in Electrical Engineering in the College of Engineering, Associate Vice President for Research, and Executive Director of the Institute for Materials Research (IMR). Materials Science and Engineering Professor David McComb and Electrical and Computer Engineering Professor Paul Berger earned federal grants for laboratory equipment useful in advancing national defense research. The Department of Defense (DoD) recently announced awards to 175 university researchers at 91 institutions in 36 states, totaling $53 million through the Defense University Research Instrumentation Program (DURIP). The program augments capabilities at universities conducting cutting edge research for DoD, through the procurement of state-of-the-art equipment. Institute for Materials Research (IMR) associate director David McComb’s $1.425 million DURIP award will enable the upgrade of a probe-corrected Titan scanning transmission electron microscope. McComb, director of the Center for Electron Microscopy and Analysis, said the instrument will be utilized in existing and new projects with colleagues in several DoD facilities, and the technology facilitates collaboration, training and education because it can be controlled remotely. Berger, also an IMR member, earned a $125,000 DURIP award to secure equipment, including a 110 GHz spectrum analyzer, which can perform high frequency and switching measurements of gallium nitride structures. “DURIP instrumentation awards provide the unique means through which DoD supports universities in the acquisition of essential laboratory equipment, usually out of reach for most research grants,” said Dale Ormond, principal director for research. Read more about the awards at the College of Engineering site.